I suggest we all take a page from the late genius poet and songwriter Leonard Cohen. His biographer Sylvie Simmons (article) said "He would have been the last person to claim that he was without flaws. This had nothing to do with his innate modesty and self-deprecation. Imperfection, the state of being cracked or broken, was one of his deepest studies and might have been his battle cry. As he sang in 'Anthem', 'There is a crack in everything/ That's how the light gets in.' Despite his reputation for darkness, he was all about finding the light." His friend Leon Wieseltier (article) said "Leonard sang always as a sinner. He refused to describe sin as a failure or a disqualification. Sin was a condition of creatureliness, and his feeling for our creatureliness was boundless. 'Even though it all went wrong/ I'll stand before the Lord of song/ With nothing on my tongue but Hallelujah!'" When our personal "crack" is financial, Congress provided bankruptcy as a way to find our light. This light is called a Fresh Start. 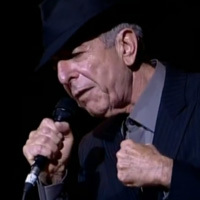 See and hear Leonard Cohen sing "Hallelujah". ← Getting collection calls about old debts? Be very careful.